WELCOME TO THE HOT GATES OF FAT INCINERATION! Now with added L-Carnitine for extra fat burning! 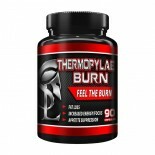 Thermopylae Burn is the newest and most advanced fat burner on the market today, now with added L-Carnitine! Whether you are looking to get shredded, or just drop a few pounds, this is your product! With insane energy increases, and charged mental focus, this product will turn up the heat and melt away that unwanted fat, your abs will be out in no-time. 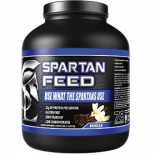 Start this amazing supplement today, get that spartan body you have desired, and become the envy of your gym!!! It’s here Ladies! Spartan Labs has developed a fat burner specifically designed for us women! 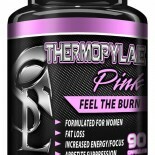 With an added L-Carnitine Proprietary Blend, Thermopylae Pink targets the trouble areas that all women have, with an added mental focus to keep you going all day long. Get yours today, feel the burn, and get your Pink on. Watch for our New Spartan Labs Pink Lemonade Pre-Workout coming soon! Use Spartatropin as a longevity supplement to aid in anti-aging, recovery, and fat loss. Easy to take, just three pills before bed each night and you too can reap the benefits of the best Growth Hormone Supplement on the market! 5a-Hydroxy Laxogenin (the compound used in Spartavar) was discovered in 1996 and shown to have an anabolic/androgenic ratio similar to Anavar, but without the side effects of liver toxicity or testing positive for steroidal therapy. Athletes claim to have seen strength increases in 3-5 days, and muscle mass increases in 3-4 weeks. AKA Laxogenin This compound is a steroidal sapinogen, although whether or not it is the desired laxinogen is a mystery since no lab standard for it is available, nor was it referenced within the GCMS library. Marketing claims for this compund say it is the only product ever designed to increase mass and strength without steroidal influence and that it doesn’t test positive for steroids. Tests showed that protein synthesis increased by over 200%, the key to lean muscle growth and accelerated repair. In testing, 5a-Hydroxy Laxogenin has balanced cortisol response, which is the major cornerstone to healthy recovery and reduction of muscle wasting. It’s also been shown to balance cortisol on calorie restricted diets, helps control glucose and increases thyroid function. “Laxogenin does indeed have some pretty profound anti-inflammatory effects. In addition to being able to be synthesized from Diosgenin, it is a component of smilax sieboldii.” “Laxogenin is a steroidal sapogenin isolated from Smilax sieboldi. As a spirostanic analogue of the brassinosteroid – teasterone, Laxogenin is noted for it’s growth promoting activity [in plants]. It has also been demonstrated to aquire [cytotoxic] properties however, to what degree, I am not sure. In contrast, Laxogenin was demonstrated to aquire antitumor-promoting activity in a two-stage lung carcinogenesis experiment.” “The best (published) study can be found in the journal Phytochemistry, 1971, vol. 10, pp 1339-1346. Again in 1989, same journal vol. 28, no. 9 pp 2509-2511 (laxogenin acetate). There is reference going back to 1965 in Chem. Pharm. Bull. 13(5), pp. 545-550 (laxogenin). It was Syrov’s paper of 1976 though, appearing in Farmakol, Toksikol that really sparked my interest. The paper is entitled, “An Experimental Study on the Anabolic Activities of 6-keto Derivatives of some natural sapogenins”. It details the 4 sapogenins (referred to as compounds 1-4 in the Soviet Union) and gives source material, results of the classic steroid model (levator ani studies) and mentions other clues critical to their use. Most of these compounds can be derived from Diosgenin (so can testosterone). Laxogenin appears closest to Compound 2, the most desirable of these. Thermo includes it as 25R in their formulation and I very much wish it were available as a standalone. I can tell you from experience that when you get the right Laxogenin, it for sure delivers on the recovery, anti-inflammatory etc. side of things and is a superb regenerative agent.